Fresh out of school, Sijia, Ova’s most recent hire, is already making waves. 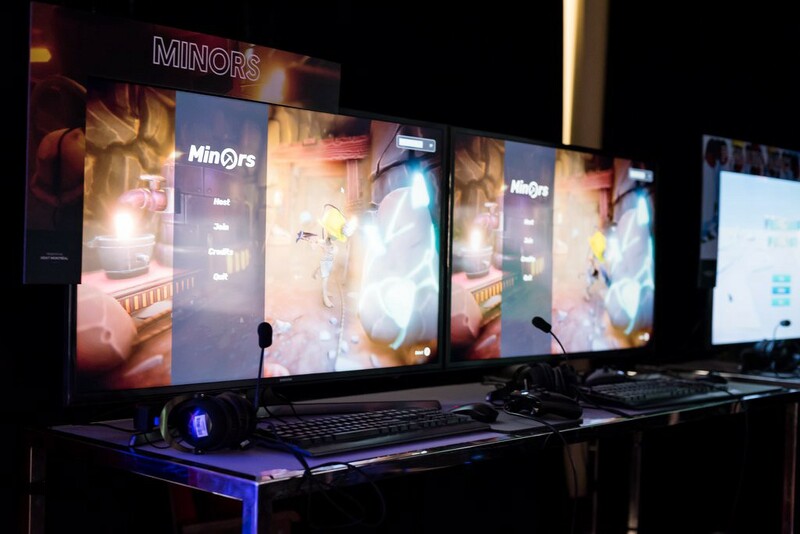 Equipped with a Bachelor’s Degree in Video Game Creation from the Université du Québec en Abitibi-Témiscamingue’s Montreal Center, this kid is eager to put his skills to good use and change the world! After having won Ubisoft’s 2018 Game Lab Challenge with his team, let’s just say he’s off to a good start. What does Sijia have to say about all of this? Let’s ask him. It’s been amazing, of course! But, it didn’t just happen overnight. We poured our blood, sweat, and tears into our work, and we learned from our past experiences. You see, some of us had actually participated in Ubisoft’s 2017 Game Lab Challenge, but we weren’t as successful. Last year, the theme of the challenge was time manipulation with asymmetrical gameplay, and for the first time, they integrated a networked multiplayer challenge to the competition. Given our inexperience, we didn’t make the best decisions and struggled with time management. We walked away heavy-hearted and empty-handed. However, the challenge did teach us a thing or two about ourselves, our teamwork abilities, and the gaming industry itself. We knew that if we wanted to succeed, we had to improve our communication skills and buckle down on time management. After our defeat, we were driven more than ever to become better at game development. Despite our crazy-busy school schedules, we participated in as many Game Jams as we possibly could. I’ll admit, it was tough at times. The sleep deprivation, the not-so-healthy energy drink diet, and the stress of juggling multiple projects at once weren’t at all easy to manage, but it was worth it. We learned so much about creating a game from scratch; like the kind of things you don’t always get an opportunity to apply in school. With each Game Jam, we could see ourselves working more efficiently. As a team, we managed our workloads, learned to better scope our projects, and got better at decision-making overall. 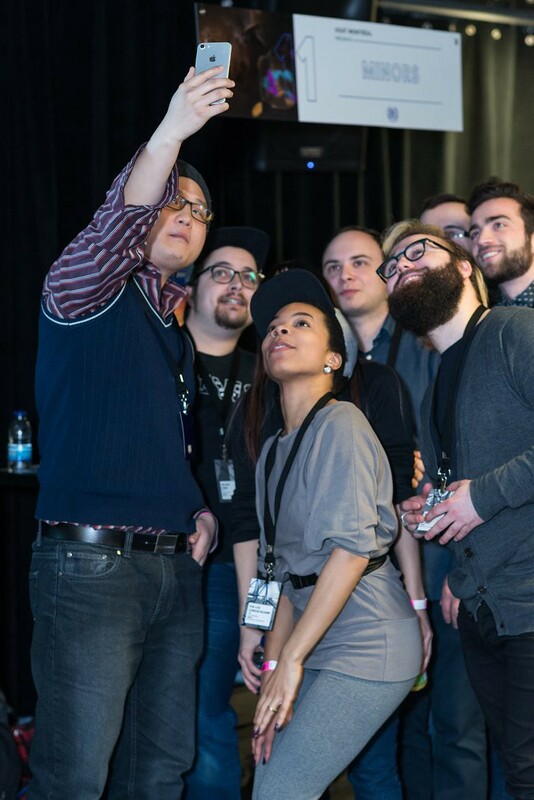 By the time 2018 rolled around, Ubisoft announced the 8th edition of the Game Lab Challenge, and we were ready to hit the ground running! Plus, when we learned that this year’s theme involved changing the world through a social cause we were even more pumped. Not only did the theme provide us with greater creative freedom, but it also pushed us to reflect on real-world issues. Through our game, we wanted to develop a compelling narrative and journey that denounced societal issues in a way that would be relatable to the players. We wanted to drive our message home and leave a lasting impression. With the detailed project scope in mind, we embarked on a crazy ten-week journey, while we were in the midst of finalizing our graduate projects. I’m not entirely sure. Honestly, we never really gave it much thought. We knew that we wanted to give it another go. We were all in. So, we came up with a game concept that we named Minors. We designed the game around the idea of exposing the realities of child labor. The premise was based on children working in mines to collect precious minerals. The little money made by the children collecting the minerals is then put towards helping their respective village survive. We also added a modern twist to our game by implementing the real-world issues posed by child labor in our capitalist society. For example, a scenario in the game involves the release of a new flagship smartphone, thus significantly impacting the game economy as Lithium prices increased. With offer and demand constantly fluctuating, players must adapt to the unpredictable market spikes and drops to reach their daily quotas. We wanted to reflect the underage miners’ working conditions and their struggles for survival. The goal of our game is to bring awareness to the multi-faceted issues brought forth by child labor and to bring to the surface the corruption found within the hidden layers we’re blinded from as a society. Although it was tough to find time for the project amidst our finals, we squeezed every spare moment in whenever we could. Once our end of semester projects were over, we played catch up while our other classmates went on to do their internships. Near the end, we were working close to 70 hours per week to ensure that our game prototype was ready for judgment day. 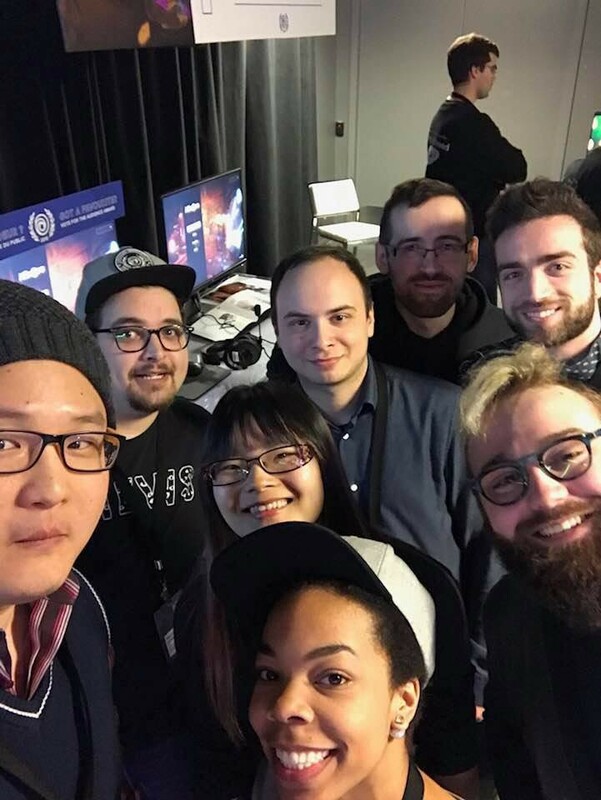 Meet the team: Right to left, front to back: Eva-Léa Longue-Ngambi, Sijia Mao, Lydiane Beaulne-Bélisle, Félix Liberali, William Homs, Alex Battista, Delyan Farashev, and Nicolas Crevier. Missing from picture: Léandre Monette, our composer/sound designer. Finally, when the big day arrived, we presented our demo alongside 16 other amazing teams. While we demoed our prototype to hundreds of employees and visitors, we were evaluated by four groups of judges for the competition. And as Murphy’s Law should have it, everything that could go wrong, went wrong. (Okay, maybe not everything… but some things sure did.) Many of the bugs we thought we had squashed came back to haunt us during the demo. Moreover, to our surprise, a lot more people than we initially expected had a form of color-blindness and struggled to differentiate the color-coded minerals in our game. We got grilled! Truth be told, I felt a little shaky after the demo, but nonetheless, I was extremely proud of everything our team had accomplished. 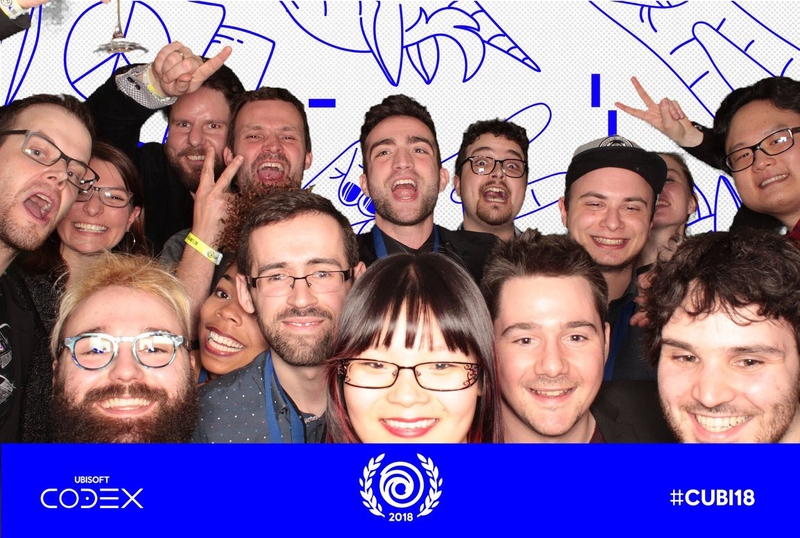 Despite all of the mishaps, we left with our heads high and anxiously awaited for the awards ceremony hosted by Ubisoft weeks later, to hear the final results. As the nominees were announced for the first award, we listened for our names. Sure enough, Minors was nominated for Best Art Direction and Production, but we didn’t win. (Props to the Gloomi team who took that one home. Great work guys!👏🏻) The same scenario kept happening… over, and over again! We kept getting nominated, but weren’t winning. That evening, we were nominated for 8 out of the 9 awards. Each and every time I heard our name being called I held my breath and secretly wished for the win. Finally, it happened! 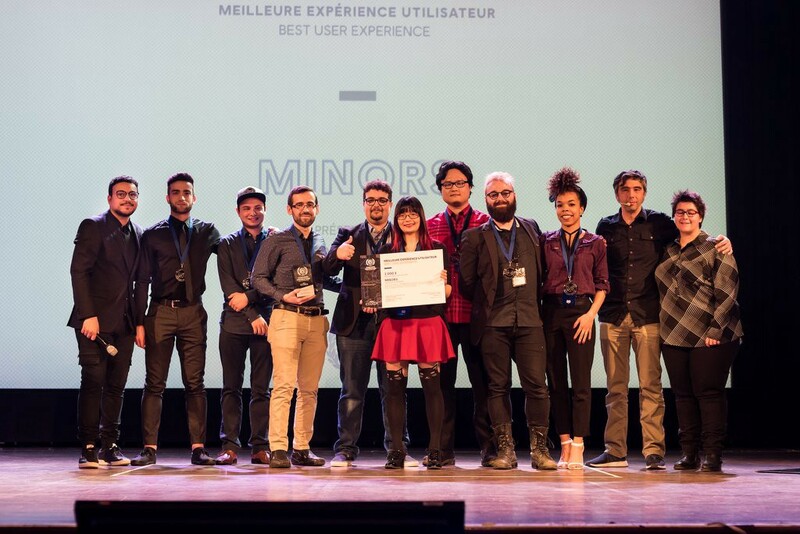 We won the award for the Best User Experience. What a relief! We felt amazing. After getting our hopes up again, and again, we could at least go home knowing that all of the effort we poured into our game wasn’t entirely for nothing. As the award ceremony went on, it continued. More nominations, but no wins. By then, I was content with our award. In comparison to last year, we had made tremendous strides as a team, and we were happy with our achievements. Finally, the long-awaited moment arrived; time to announce the grand prize of the competition! As the presenter spoke, I didn’t think much when I heard our nomination. “Here we go again. Another nomination…” I thought to myself. 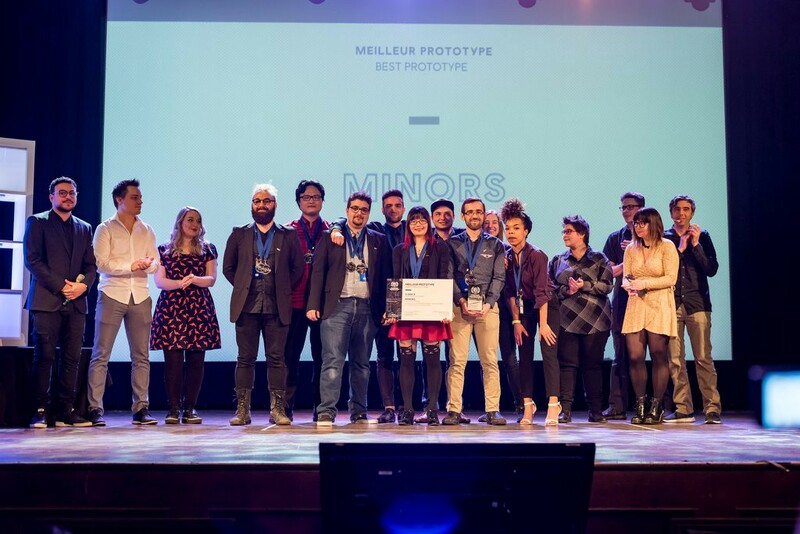 When Julien Desaulniers, President of the jury, revealed that Minors won the Best Prototype award, I barely reacted. It felt so surreal, and I didn’t really understand what was happening. My friends had to nudge me for it to sink in! “Dude, get up! We won,” they said. That’s when it hit me. We actually won. Never, in my wildest dreams, could I’ve predicted how transformative this crazy side-project was. It’s had such a profound impact on my life, and it’s an experience I’ll never forget. Not only did I walk away from this with valuable experience, but it has opened my eyes to the endless opportunities offered by my career path. Shortly after concluding the Ubisoft competition, our team got together to smooth out the remaining glitches and fixed the color palette to mitigate color blindness. We also decided to submit our game prototype to the Student Video Game Competition hosted by the Entertainment Software Association of Canada and went on with our lives. Low and behold, just this week, our team found out that we won the competition! 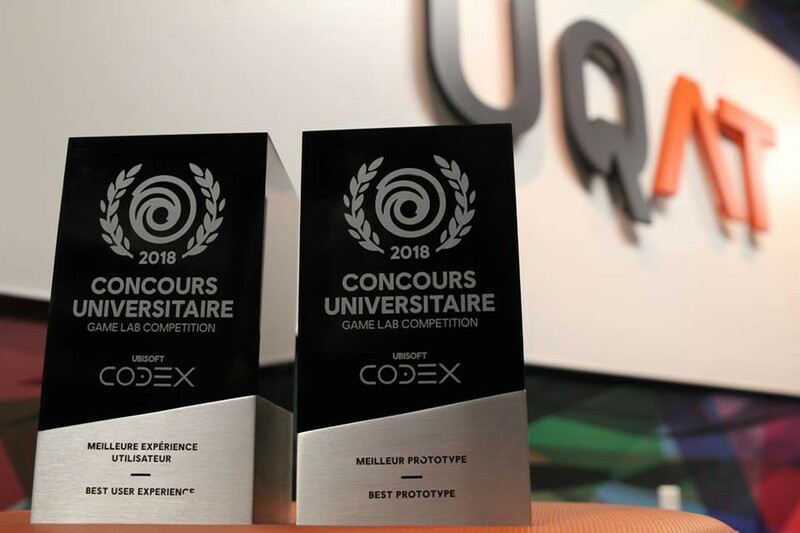 Part of our prize includes jetting off to Los Angeles for E3 to demo our game on-site as winners of the Entertainment Software Association of Canada’s (ESAC) 4th annual Student Video Game Competition! I can’t even begin to express how excited I am to be embarking on this adventure. I still can’t get over how one event has transformed my life and broadened my horizons. What I hadn’t yet mentioned, was that a month ago, I left my home base in Montreal to join Ova, an augmented reality startup located in Quebec City that’s on a mission to use immersive computing to tackle real-world issues. You see, when I met Harold, our CEO, I couldn’t get over how passionate he was about the industry. It was so different from what I had learned in school, yet so intriguing. The Ova team was using technology to improve and transform people’s day-to-day lives. Their work extends beyond the gaming and entertainment fields, which I found quite inspiring. Plus, when I met the actual Ova team, I knew they’d be a fantastic group of individuals to work with. I loved that everybody had such a diverse background and that everyone had a say on the team. When the Ova team offered me a spot on their team, I couldn’t say no. Now that I’m a month in, every day brings about new challenges, and these challenges keep me driven. I think it’s incredible that I get to be a part of this technological shift. In my opinion, knowing that my work has the potential to help shape tomorrow’s immersive technology is the ultimate reward. If I could give a piece of advice to future Game Designers, it’s to put yourself out there. Don’t be afraid to fail, stay curious, learn all you can and push yourself to the limit. Also, attend as many Game Jams as you can. They’ll give you tons of real-world experience, and they’re lots of fun. (So long as you don’t mind surviving on a sugary energy drink diet.) And, if you’re willing to make the ultimate sacrifice, participate in Ubisoft’s Game Lab Challenge, you won’t regret it! Posts made by employees or collaborators to the immersive computing startup OVA (VR, AR, XR, XR, AI).